The Afroasiatic Roots of Classical Civilization Volume One: The Fabrication of Ancient Greece 1785-1985. 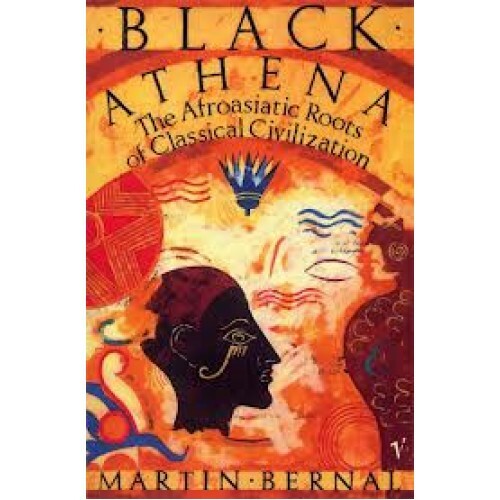 Classical civilisation, Martin Bernal argues, has deep roots in Afro-Asiatic cultures. But these Afro-Asiatic influences have been systematically ignored, denied, or suppressed since the eighteenth century - chiefly for racist reasons. The popular view is that Greek civilisation was the result of the conquest of a sophisticated but weak native population by vigorous Indo-European speakers--or Aryans--from the North. But the Classical Greeks, Bernal argues, knew nothing of this "Aryan model." They did not see their political institutions, science, philosophy, or religion as original, but rather as derived from the East in general, and Egypt in particular. Black Athena is a three-volume work. Volume 1 concentrates on the crucial period between 1785 and 1850, which saw the Romantic and racist reaction to the Enlightenment and the French Revolution, and the consolidation of Northern expansion into other continents. In an unprecedented tour de force, Bernal makes meaningful links between a wide range of areas and disciplines--drama poetry, myth, theological controversy, esoteric religion, philosophy, biography, language, historical narrative, and the emergence of "modern scholarship."